Ewallets or electronic wallets or online wallets, whichever you prefer, are increasingly becoming a more safe and secure way to both send and receive money. With the ever-deeper push into digital territory, this payment method makes it much easier to deposit and withdraw funds for affiliates on their way to earn commissions. Now, that all sounds fine on paper, but why should affiliates go for an ewallet? With this post, we aim to answer that question. Let’s begin. If there is one aspect of the online business that’s constantly a watchful eye of customers, it’s security. And, if there’s one aspect where ewallets truly shine, it’s security. Allow us to explain. Depending on the provider, affiliates can also transfer money to other users or pay for various services and have the ewallet act like a bank account. Only, there is one rather important difference - the other side doesn't have access to the personal banking details. Effectively, an ewallet acts as a replacement for credit cards. In this relationship, an affiliate is not sharing bank details as all of the data is processed through an encrypted SSL (Secure Sockets Layer) connection. This establishes an encrypted link between a user and a web server in order for the information passed between the two sides to remain private. Because an ewallet owner doesn’t have to enter credit card details for every payment, there is little risk of exposing those details. Instead, a unique transaction identifier or token is shared, which makes the entire process more simple and secure. If that’s not enough, some providers offer a type of pin code or a fingerprint sensor for extra authentication and protection with more personal dealings. Another feature of an ewallet that can be attributed to the security aspect is the ability to create multiple wallets within one. This means an affiliate can create one without non-confidential information for a more general, everyday purpose. Additionally, every e-wallet has fraud protection support that looks out for any suspicious transactions. Naturally, there is a number of companies that provide ewallet services with different policies. However, there are some staples that apply to the majority of players in the field. For instance, setting up the ewallet account is typically free, as is depositing or paying for services. In most cases, there is no minimum balance limit, while there may be instances where there are no maintenance fees. In the case of money is being transferred to and from the e-wallet to a bank account, usually there is a small transaction fee. How small depends on the provider. The majority of costs refer to receiving money to the ewallet and withdrawing it. For most, the reference for a common ewallet is PayPal, which enjoys a huge popularity all over the globe. With the likes of PayPal and similar wide-accepted service, users get a good entry-level solution for online businesses. However, that’s all they are good for as they tend to have high fees and rates. On the other hand, recent fin-tech products like MoneyNet generally have significantly lower rates and are specifically tailored for affiliate needs. What we’re talking about here is money transfer at competitive rates, paying a lower fee for receiving the funds in the first place and the option to convert those same funds to the local currency at rather attractive rates. Thus, affiliates can make a withdrawal and avoid paying hefty bank fees for receiving funds in foreign currency, while also using those funds to pay for their affiliate campaigns or different services. More customer-centric fin-tech companies and their ewallet services present a distinct contrast to fellow financial businesses like banks and popular payment processors, where users have to pay both withdrawal fees and conversion at fairly unfavorable rates. 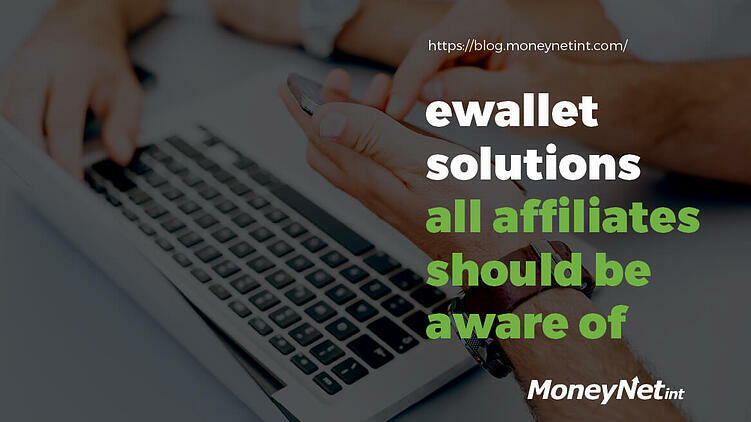 With an ewallet, affiliates are able to cut out the middleman and considerably minimize their cost of banking transactions, especially small and micro payments which are often most represented in affiliate marketing. 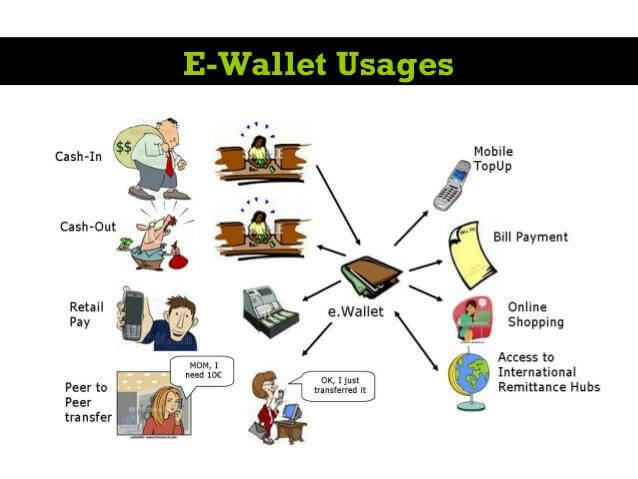 One of the widely spread definitions of an electronic wallet is that it’s a is a digital version of a physical wallet, where every bit of both personal and financial information is stored online. As much as that sounds convenient enough, that’s only the beginning. With ewallet at their side, affiliates don’t have to fill out order forms at each site each time they pay for services. The necessary information is stored and automatically updated in the order fields across different supporting websites. Affiliates should also bear in mind that their payments will always go through as the basis for the entire process is a prepaid account. An ewallet relies on the back-end infrastructure that directs credit and debit card information between affiliates and online banking solutions, meaning the money is already in the account. Another neat feature is a detailed expenditure track, so affiliate can see with ease how they are spending their money. Ultimately, an often neglected feature of ewallets is that they offer a constant, 24/7 access from any place. Although it’s a digital equivalent to an old-fashioned wallet, the scope of an electronic wallet goes far beyond that definition. Ewallet presents a streamlined transaction service and a secure online money transfer option. Affiliates will certainly benefit from a hassle-free process for doing online business, be it paying for a wide array of services (paid campaigns, hosting, outsourcing, etc. ), sending and receiving money or enjoying the perks such as cost minimization (if the service provider is right) and time-saving. All in all, it’s a convenient and more efficient method for transaction processing that ticks all the right check boxes for affiliate marketing. It’s secure, available around the clock, and easy on the wallet (pun intended). As it’s broadly supported by an increasing number of service providers and e-commerce websites, ewallets are here to stay so you might as well join in on the fun.